Don't you just love finding a wee gem at a Christmas market? Or having a special little item hand made? I try to shop locally with smaller businesses where I can, I prefer individual handmade items instead of mass produced lesser quality items from large chain stores. 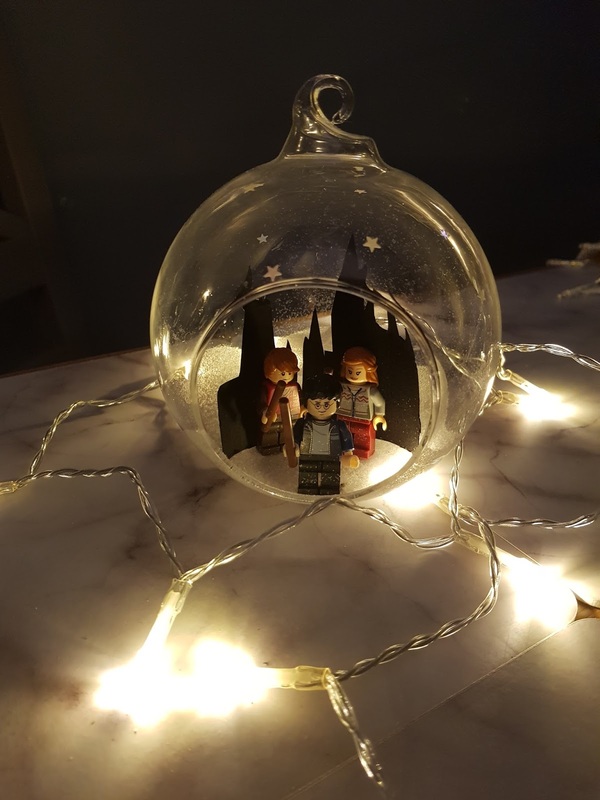 This year so far, I have bought handmade items from two different companies and I could not be happier with them, not only are they better quality and bespoke to my requirements, I also know that no one will have anything similar to it, which is exactly the kind of gift I love to give! 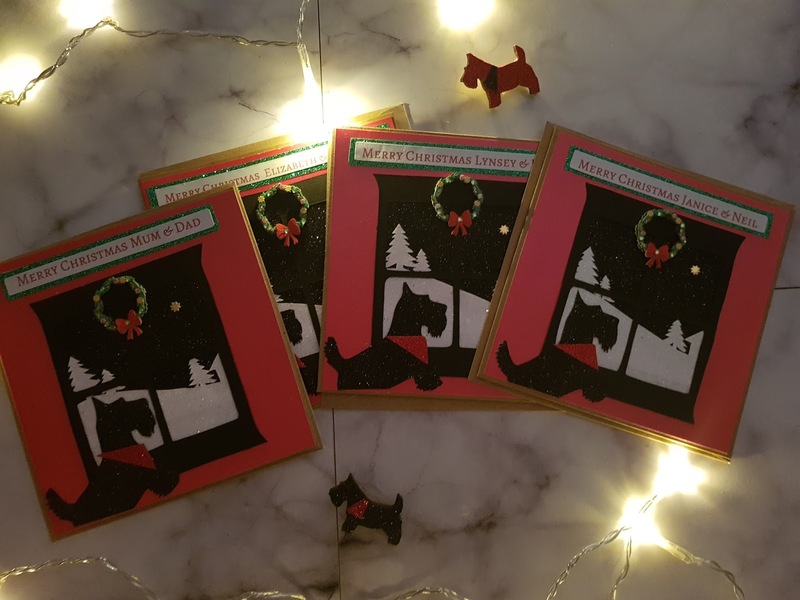 The first handmade items I had made were my 'special' Christmas cards. Do you do that? Do you buy 'special' cards for loved ones? 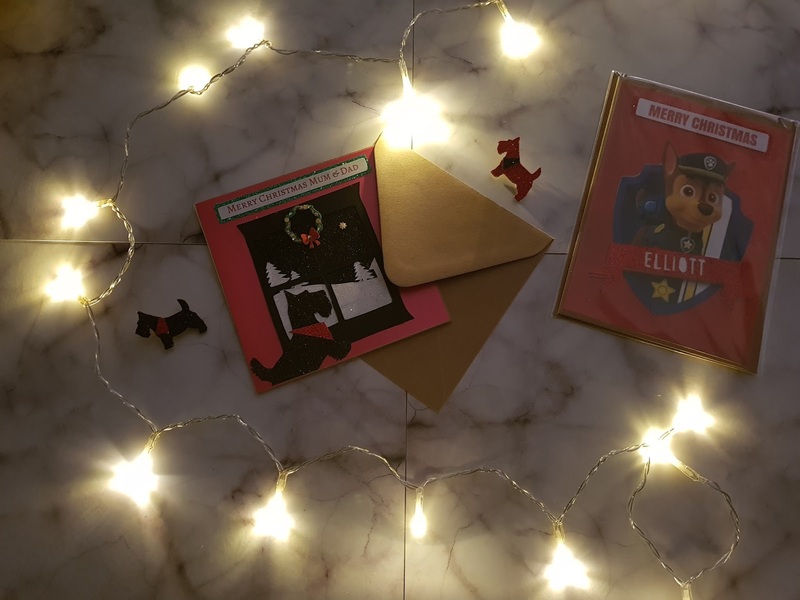 Previously, I've gone to shops like the Card Factory or Clintons, however last year I decided to have them made for me, I wanted them to be a little more personal. I loved them so much, I had them made this year again by the same company. The company in particular is called 'Ya Stoatir'. Chris, who runs the company, is fantastic to work with, nothing is too much trouble for her and she will mock up any design you request, making any number of changes until you are 100% happy with the design. Chris shares my love of Scotties, that's actually what brought me to her Facebook page at first. She blends two of my favourite things in the creation of her items; glitter and Scotties. What more could a girl want. I think you will agree that the cards Chris has made for me this year are stunning, they are very traditional in terms of the colours and snowy scene, however the glitter and the Scotties add something a little different to it. Take a look through her Facebook page, I'm sure you will love her work as much as I do. The second item I had made was from a girl who works with my husband, she doesn't have a company as such but she has one heck of a talent. Lyndsay creates gorgeous handmade Christmas baubles. She uses Lego characters in various forms to create scenes inside the baubles, the one my husband had made for me is another of my favourite things; Harry Potter. As you can see from the images below, she has done an incredible job. 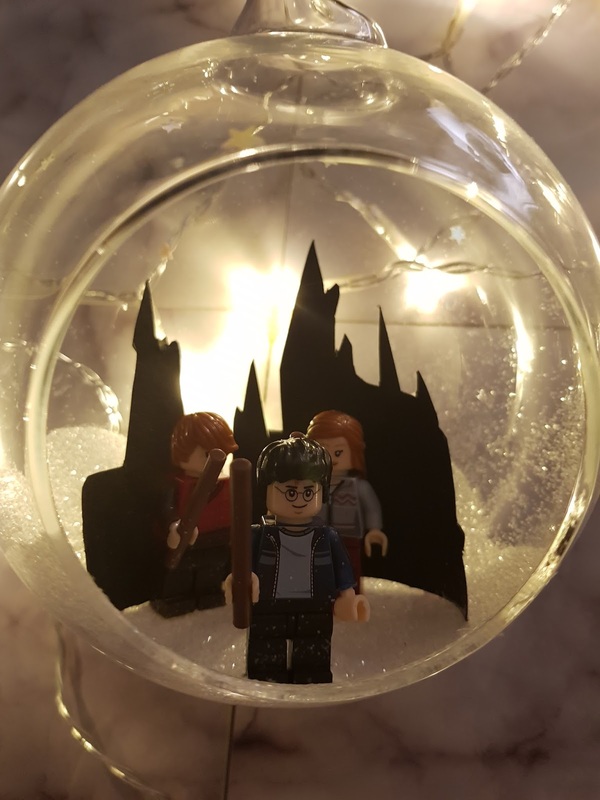 I have all three of the main characters, Harry, Ron & Hermione in a snowy bauble with a Hogwarts backdrop. It's truly beautiful. If you can, you should definitely try shopping with smaller, local companies this Christmas. 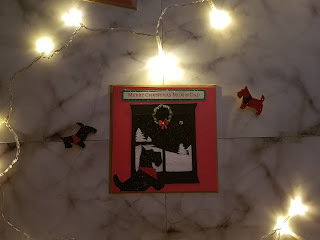 A handmade gift is a personal, thoughtful way to buy for someone, I'd personally love to receive any of the items I've written about in this post. Have you used any local businesses this year for gifts? I'd love to see what you bought!